"Hey everyone! My name is Roy Florijn and I’m a second year IBA student. 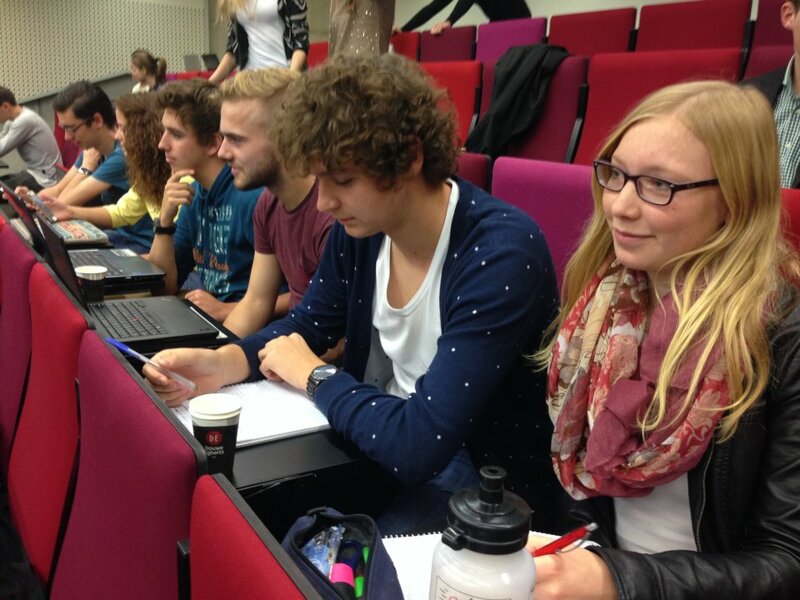 My first module on the University of Twente was Technology, Organization and People (TOP). During this module, I learned what an organization is, how it works and how it’s influenced by different factors. The lectures I followed were for the two courses during TOP, Research Methods and Organization Theory. These two courses were rather theoretical once, so it was nice that the project was more practice-based. We all got divided into project groups of six people and the university provided us with a company to do our project on. In this project we were asked to critically look at the effectiveness of a real manufacturing company. To do this, we needed the material we learned during the lectures and tutorials, both from Organization Theory and Research Methods. What I really liked about TOP is that as a freshman, you start right away with visiting a real company and looking at their processes. In the second week already we visited a company and we walked around while two managers explained their business to us. It was nice that we always had the possibility to immediately apply new content on our project company, so it was easier to remember and study it as well. Another thing I liked about the project, was that our project groups were international. This way, I got in contact with different nationalities from the first day on and I got used to speaking English all day a bit easier. At the end of the project there was a poster market for all company representatives where we presented our findings about their effectiveness. I liked how the representatives of our project company seriously reacted on our findings and even agreed with us on the changes that we proposed. One of the most challenging things in TOP for me was the workload that I had to get used to. I had to do so much more than in high school, that in the start of the year I even got confused at some point. After a week or two I got used to this significantly higher amount of work and I just tried to read the material for every week on time, so I could really try to understand what was taught during that week. This made the lectures, but especially the tutorials a lot more useful and I would say it is the best advice that I could give: don’t get behind with the reading material. I think another useful tip is to make sure that the atmosphere in your project group is good. It works a lot easier if people trust each other and you can just have some fun during project meetings. Moreover, it is important to put effort into the project and not rely too much on others, because later during the year you can make project groups yourself. If you didn’t do anything during the first module, people will hear about this and you will have trouble finding a good group for the rest of the year."